The unique sustained stretching techniques common to myofascial release treatment allow the tissues of your body to achieve permanent release of painful and tight restrictions that often prevent full mobility. In each workshop we'll learn stretching to ease pain, why this stretching is different, how to increase flexibility, and how to help yourself loosen dense tissue. There are separate workshops focused on different segments of our body as well as an overall body event. Based on the philosophy of Louise Hay, renouned author, speaker and educator, these events are profound in teaching you her techniques so you may heal the things in your life that aren't what you'd like and assist you in creating a life you love. You'll learn effective therapeutic stretching techniques using Myofascial Release principles, which are geared to ease pain and allow for increased mobility. Therapeutic stretching techniques are wonderful to use for all areas of your body: head, neck, shoulders, back, hips, legs, arms, and chest. 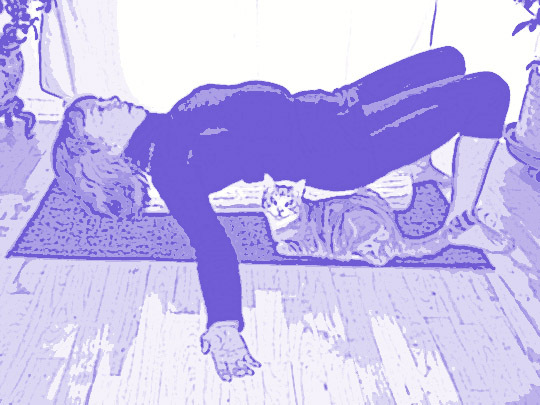 We'll use a variety of tools to coax our body to release tightness. And, we'll learn a special technique for additional healing! Notes: wear simple stretchy clothes & bring a foam roll if you have one. *Denny will serve a homemade yummy snack made for you. I attended a Fascial Freedom Workshop with Denny. When I arrived I had a headache. After a stretch we did for the neck, I noticed that my headache was gone. It was wonderful to know that in a pinch, I can utilize these techniques at home to relax myself!